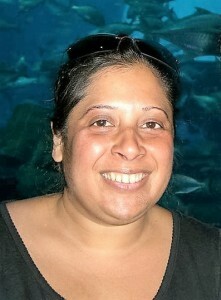 Shalina writes a blog on living with Lyme disease called ‘Down with Lyme’. She honestly discusses mistakes she’s made along the way and shares advice she would give others at the beginning of their own battles with Lyme disease. My entry into the ‘Lyme World’ took place about 3 years ago when I was bitten by a tick on the 5th July 2013 on a fruit farm near my home in Berkshire. That one fateful day changed my whole life and my entire being. A life once filled with success, happiness, and excitement was now reduced to pain and brutal suffering. A once confident individual now found herself frightened and in hiding from the judgmental and uncompassionate eyes of the world. It is a life that I had never envisaged for myself. Having faced many challenges, Lyme Disease however, was going to prove to be the biggest and most difficult battle of my life. It is a battle that I am still fighting today in the hope that I can one day reclaim my old self, which has so cruelly been ruined by the ravages of Lyme Disease. Having grown up in Central Africa where deadly diseases such as Malaria, Dengue Fever and HIV plague the country, a minor rash appeared to be of little importance. It was just another uneventful bite, which with time would fade away without any consequence. Only this time however, I was not going to be so lucky. This time, that little bite was going to be fatal and would go on to cost me my health, time and money. Indeed, after some time the rash did fade away but instead left me with a lifetime of scars and sorrow. Ignoring the Erythema Migrans was the biggest and perhaps one of the most serious mistakes that I have made during my Lyme journey. Dismissing the rash as just another mosquito or spider bite meant that I failed to seek antibiotic treatment straight away. As a result, my health quickly took a downward spiral as I struggled to cope with the 100+ terrifying neurological, muscular and arthritic symptoms. Every day brought with itself a new symptom and another challenge for me. After seeing consultant after consultant, no one was able to diagnose me properly and instead offered fancy and sometimes unheard of conditions. Desperate and broken down, it was Dr. Google that came to my aid and so correctly showed me the true nature of my illness. What ‘highly-qualified’ Specialists could not accomplish in 6 months, a mere search-engine was able to do it in a few clicks of a button! My mistakes unfortunately do not stop here. Vulnerable and in serious need of medical attention, I rushed into making hasty decisions by seeking private treatment from inexperienced LLMD’s. These LLMD’s unforgivably made my condition even worse by refusing to treat the Lyme co-infections that had so badly afflicted my failing body. In a final attempt to save my life, I contacted a private clinic in the USA that is world renowned for treating tick-borne diseases. It is at this Clinic that I was correctly diagnosed with Lyme Borreliosis Complex – a condition so severe, which has greatly affected my Brain and Central Nervous System. Along with Borrelia Burgdorferi, I was also clinically diagnosed with many other bacterial and parasitical infections such as Bartonella, Mycoplasma, Chlamydia Pneumoniae, Protomyxzoa Rheumatica and Babesia. Looking back at these past 3 years, I have learned a great deal from the mistakes that I made at the very start of my illness. If I could turn back time and start my journey all over again, here are some of the things that I would have done differently to help my recovery. Be your own advocate. Nobody else can better help you than yourself! I am still in treatment today and have a long way to go until I reach a state of remission. It has been a very tough journey with many twists and turns but at the same time has made me appreciate the true value and meaning of life. Above all however, I have learned to fight and to never give up hope because after all, we are all Lyme Warriors.